A musician has admitted stealing rare bird skins from the Natural History Museum at Tring in Hertfordshire to raise money for a new flute. The 299 brightly-coloured skins were taken from a collections area of the Akeman Street museum on 24 June 2009 during a break-in. US citizen Edwin Rist, 22, appeared at Hemel Hempstead Magistrates' Court and admitted burglary and money-laundering. He will be sentenced at St Albans Crown Court on 14 January. Hertfordshire Police said most of the birds had been recovered. 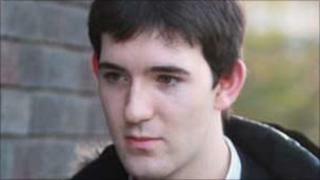 Rist, a student at The Royal Academy of Music, was described as a very talented flautist and a James Bond fantasist by defence solicitor Andrew Harman. Mr Harman said some of the money from the sale of the bird skins was going to be used to buy a new flute. The museum's director of science, Professor Richard Lane, said at the time of the break-in that the birds formed part of a collection assembled over the past 350 years. He said the items were of scientific interest, and many were irreplaceable and "literally priceless". There are about 750,000 bird skins, representing 95% of known living species, held at the museum. Professor Lane said the ornithological collections were used by researchers throughout the world, who either visit Tring or request loans. He said: "The knowledge gleaned from these collections can help protect endangered species and answer questions about the biodiversity of the world around us." The court heard how Rist, of High Street, Willesden Green, London, visited the museum before the burglary, telling staff he was a photographic student taking pictures on behalf of an ornithologist from Oxford University. They allowed him to photograph the birds, which were not on display but were in a separate locked room. Police found the photographs along with pictures of the museum layout, prosecutor Jan Brooks said. The court heard Rist used a brick to smash a window at the museum to get in. He spent the night at Tring railway station with the stolen birds, after missing the last train home.